Unlock the formula to grow your business with social media. It's time to take the mystery out of social media and it's algorithm. I see you scrolling through your photos desperate for something that relates to you and trying to write an inspiring caption that will draw the right people to you. And then waiting for the response, did anyone even see it? Soon enough it's time to start all over. I've been there and it can feel overwhelming. What if you felt comfortable with each post knowing you were marketing without the hard sell. That you were offering what your customers wanted and not constantly asking them for something. If you had a plan for the entire month, each month. If the time you had to invest in social media didn't overwhelm you. The workshop will be an inspirational, informative and energising half-day retreat for small businesses. 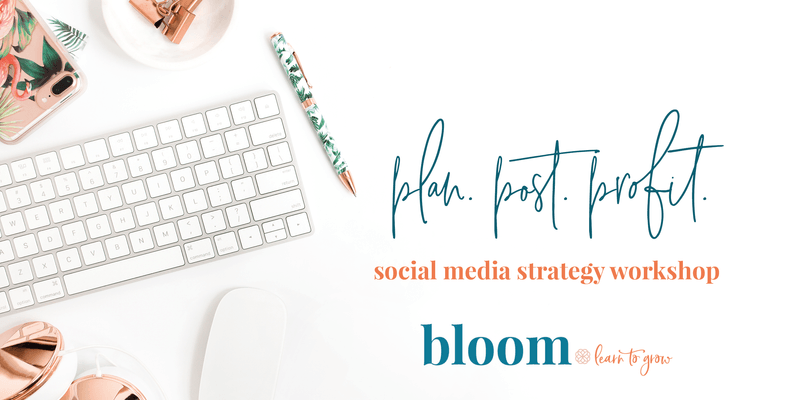 Designed to give you the foundation you need to be able to know what to post, how to work with the algorithms and create a plan that takes you through each month confidently. Discover how to show your clients the value in what you do, elevate your offering and unleash the potential within your business. This workshop won’t make a perfect feed (um, that’s not fun), and it certainly won’t make you look like everyone else. Instead, you’ll learn how to tell your story, own your voice, and share it with the world in a way that makes them stand up, take notice, and follow you to the ends of the earth. Your workshop includes morning tea and a gourmet lunch. To learn more or purchase tickets visit our website. This workshop has limited space available, so get in quick.